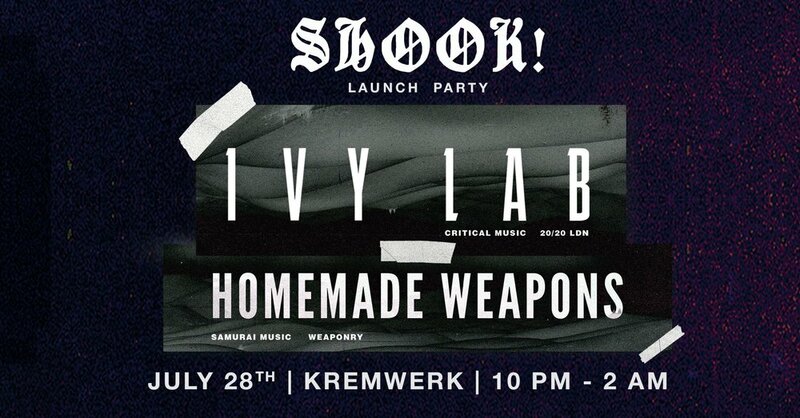 SHOOK - a new party focused on the cutting edge of bass music, with special guests from around the world paired with Seattle’s most discerning selectors. Seattle, Washington heavyweight breakbeat manipulator and Samurai Music top-tierrazor-sharp affiliate - Homemade Weapons comes roaring back into action for the Heiress EP, his first full solo release since the immensity of his debut LP - Negative Space. Intricately sliced and manipulated breaks and kicks ricochet off each other over 4 tracks of guaranteed high voltage floor-mobbing dominance. ‘Streetcleaner’ has a cheeky percussive drift, while ’Pyrosome’ is pure dive-bomb adrenaline, ‘Nabilone’ the razor sharp steppers choice, with the title track opening proceedings with swarming menace. Fraktured - Resident round up!